Unitek College was recognized by the Accrediting Commission of Career Schools and Colleges’ Excellence in Community Service Award at the 2014 ACCSC Professional Development Conference. 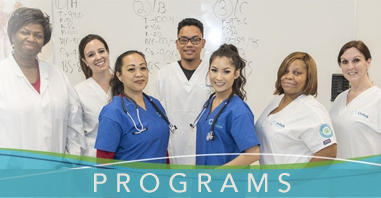 Fremont, CA (PRWEB) September 18, 2014 — Unitek College’s commitment to community service was recognized by the Accrediting Commission of Career Schools and Colleges (ACCSC) on Thursday, September 18. The accrediting body acknowledged Unitek College’s community outreach efforts with an honorable mention for their 2014 ACCSC Excellence in Community Service Award. Unitek College strives to make a difference by empowering educational service-learning opportunities through our Community OutReach Educational (CORE) program. At Unitek College, we believe strongly in Jean Watson’s declaration that “caring is the essence of nursing.” Our faculty, staff, and students support the community by volunteering at local health fairs, immunization clinics, senior support programs, food drives, diversity education events, crisis intervention programs, and global disaster preparedness training. Over the past year, Unitek College’s community service initiatives included organizing a large-scale disaster training exercise, impacting the lives of seniors through our partnership with LIFE Eldercare, and hosting Fremont’s “first” community health fair. Heralded as one of the largest and most innovative mass-casualty community training events in the area, Operation Urban Rescue is one of Unitek College’s primary service initiatives. Operation Urban Rescue is a large-scale training event designed to prepare the community to best respond to future disasters. Many state and government departments run practice drills to prepare for disasters, but the missing link is total cohesive involvement. Unitek College’s MASCAL Training unites public emergency, safety, and medical professionals to ensure that the community is prepared in the event of a real disaster. At this annual event, Unitek College’s growing student body, all administrators, and support personnel converged on our Fremont Campus to train along with clinical, non-profit, and community agencies for impactful, service-oriented community engagement. The addition of several nonprofit organizations and clinical partners instilled a unified response and created a CORE learning environment for triage training, patient care, life sustainment, and communication. This ground-breaking community service initiative provides our students with hands-on, simulated critical care experience, allowing them to experience work as a first responder in multiple scenarios and crisis situations. This unique event helps to mentally prepare and train our students for a career in healthcare while practicing a multi-level local and state government response. Operation Urban Rescue, as well as Unitek College’s previous MasCal Training event, have affected positive change for our students, as well as our local and global community. In addition to MasCal Training events, health education support, pediatric care toy drives, and domestic violence crisis support, our nursing students support the elderly through our partnership with LIFE Eldercare’s Fall Prevention program for seniors. Research supports that many at-risk adults can live independently if they are provided with vital services. LIFE Eldercare provides nutritional assistance, exercise training, health education, and injury awareness for at-risk seniors in the area. Partnering with LIFE’s Fall Prevention program allows Unitek College students to support community elders while gaining hands-on experience in individualized patient care. Through our partnership with LIFE’s Fall Prevention program, Unitek College’s nursing students are able to impact the lives of over 400+ seniors annually. Last year, Unitek College hosted Fremont’s “first” community health fair, uniting more than 36 city and county agencies to provide resources to over 400 attendees. The Fremont Chamber of Commerce Government Relations Manager stated that this was the first time that all of Fremont’s local healthcare providers, behavioral health education, elder injury prevention, wellness, and county resources were in one location with a unified vision. Unitek College’s students preformed wellness screenings at the health fair, checking attendees’ BMIs, nutrition, blood pressure, heart health, and fitness. Other agencies provided massages, tips for reducing stress, foot health education, and more. Unitek College continues to host and attend local health fairs for the benefit of the community and to prepare our students to interact with patients in the future. Unitek College remains committed to supporting the community through initiatives that foster our students’ educational growth and enrich the lives of our community members. We plan to host additional MasCal Training events and community health fairs in the future. Unitek College will position you to take advantage of the continuously rising demand for experts in the fields of allied health, nursing, and information technology. 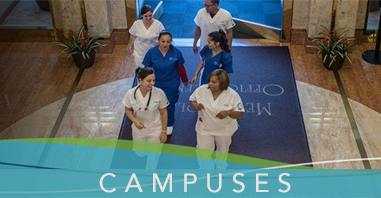 Unitek College offers a variety of educational programs, including Medical Assisting, Pharmacy Technician, Vocational Nursing, Registered Nursing, Bachelor of Science in Nursing, and Information Technology. Unitek College has three convenient facilities located in Northern California, with campuses in Fremont, Sacramento and San Jose. For more information about our programs and campus locations, please visit www.unitekcollege.edu. For more information about Unitek College’s annual MasCal Training events, please visit www.mascaltraining.com. For more information about the Accrediting Commission of Career Schools and Colleges, please visit their website at www.accsc.org. For more information about LIFE Eldercare, please visit their website at www.lifeeldercare.org.